If you believe the hype, Apple's about to define the smartwatch, just like its iPod defined the MP3 player. The Apple Watch is being hailed as the product that will finally make us all want a piece of intelligent tech on our wrists, but if you're a runner looking for a brilliant new companion, I have this warning for you: this watch is not for you. Not yet. Let's start with the obvious glaring omission. The Apple Watch - yes even the sport flavour - doesn't have GPS. To get basic information about your run, you'll be piggybacking your iPhone's GPS instead, and that'll be a problem for some. At this point it's important to split runners into a couple of camps: the 'Recreationals' and the 'Serious'. The Recreationals pad out 5kms with ease, might consider doing a marathon one day, once, and like to track their stats. But these guys and gals aren't going to be suffering 400m repeats down the track. That's for the Serious. They like to know every stat and have split-second-accurate pacing right where they can see it on their wrist. They need a tool that offers detailed tracking, heart rate monitoring and provides a thorough breakdown of their performance to review after the run. It might even tell them how long they need to recover before they lace up again. They want detail before, during and after the run. This is an important distinction because the lack of GPS probably won't bother most Recreationals, it will bug the Serious who like to run unencumbered, without their phone. However, the second problem will affect both camps. If carrying two devices wasn't enough to put off runners, battery life could be. In Apple's own words: "All-day battery life is based on 18 hours with the following use: 90 time checks, 90 notifications, 45 minutes of app use, and a 30-minute workout with music playback from Apple Watch via Bluetooth, over the course of 18 hours." That leaves you a few choices. You can cut down on the other stuff you want to use your watch for, charge it twice in a day or make sure you only ever run for 30 minutes. That might be a nice idea for some but for most Recreational Runners that's barely enough to squeeze in a 5km. Even a 4-minute-mile Mo Farah needs more than 30 mins to get in a decent workout. So even for the Recreational, the Apple Watch is looking like a bum deal. Apple isn't alone in struggling with battery life. Most of the smartwatches we've been treated to so far come up short when it comes to staying power. Which makes the simple fact: the Garmins and Polars of this world are still making the best running watches, even for the Recreational. It's not a running watch right now but it will be. Batteries will improve, sensors will shrink and the Apple Watch second generation will likely have GPS. Just like the first iPhone arrived without 3G, Apple will build on its first smartwatch. In time we'll get sensors that provide deeper running stats like cadence, vertical oscillation, elevation and perhaps even optical heart rate. In the meantime, Apple will do what it does best, inspiring developers to produce innovative new apps and features that start to create a watch that's a very different proposition to the one we're just seeing. 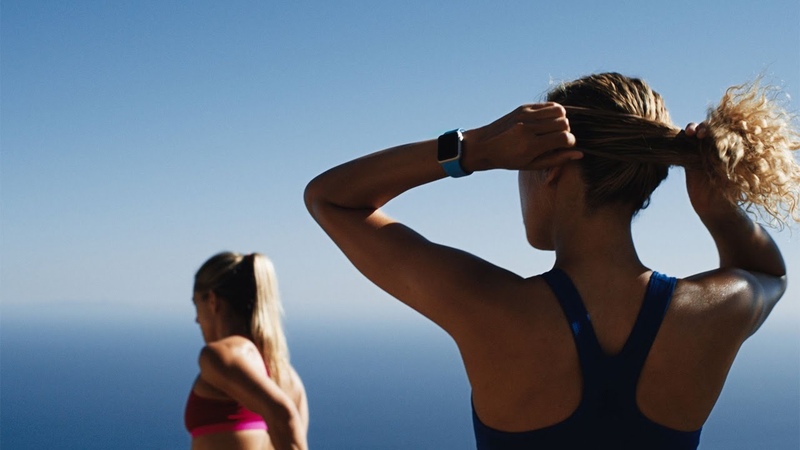 Nike, Adidas and Strava and a host of others will be busy working out how to give us the kind of detail we're used to getting on a high end running watch in a device we'll want to wear every day. Add to that the likes of Wahoo offering up chest straps that carry sensors and new sensor-laden smart clothing that's soon to arrive on market and you can expect these to pair with the phone and the Watch to help bolster the stats we get through bespoke Apple Watch apps. In 2015 Warable's fitness expert, Kieran Alger is running the Marathon des Sables, Boston Marathon and the London Marathon.